But not everyone has the time, money or inclination to devote to a full renovation. 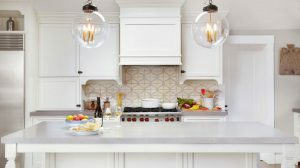 So here are three quick and easy ways to spruce up the look of your kitchen without breaking the bank. Cabinets, drawers and other storage spaces take up so much real estate in the average kitchen that they are some of the first things people consider when itching for a change. Quick cosmetic fixes, such repainting your cabinets, can go a long way toward brightening up the look of a dingy kitchen. “If the cabinetry is in good condition, spraying it a new, fresh colour will change the look of the room immediately,” says Blomfield. Even if you are happy with the colour of your cabinets, a new coat of paint can lift the grubby-looking fingerprint stains and scratches that usually come with years of use. If you are considering a colour change, stick to the basics, says interior designer Therese Carrodus, of Full of Grace Interiors. Switching out the cabinet handles can also be an easy fix. Carrodus recommends contemporary shapes with tactile finishes that hide finger marks, such as round beaten copper knobs or a slimline pull handle in aged brass. New paint colours and handles may not be enough to revive cheap or old cabinet door fronts, but that doesn’t mean you have to shell out for new cabinets. Architect and renovator Amelia Lee, of Undercover Architect, suggests replacing only the cupboard fronts and drawers. It can be quite cost effective for you to pay a joiner to make up the door fronts and get them pre-drilled with a suitable hinge points based on how your cabinetry is arranged,” Lee says. If you like the look of your tableware, glasses or small appliances, consider removing your cabinet doors all together. Open shelving can help make a sterile room feel more casual, welcoming and homey. A splashback’s main purpose is to protect your walls from mess and splatter, but it’s often the unsung hero of the kitchen remodel. “We kind of underestimate how a new splashback can dramatically change the look and feel of your kitchen,” says Lee. Splashbacks come in a seemingly endless array of styles, from temporary acrylic wallpaper to elaborate mosaic tile. It’s also relatively affordable and easy to change, so a splashback is one of the best ways to showcase your personal taste. 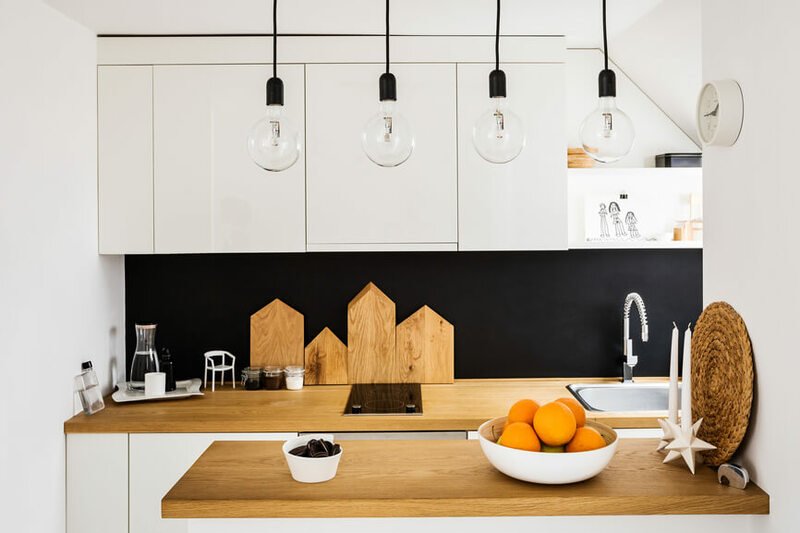 A splashback can also help you connect the kitchen to the overall style of your home, says Carrodus. 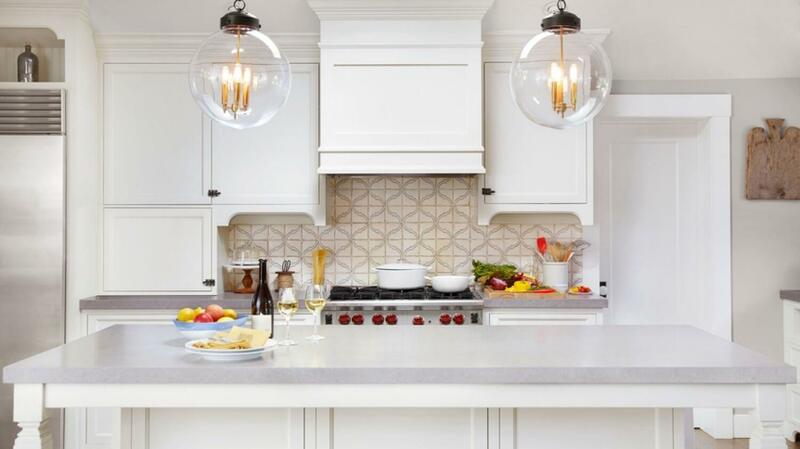 It may not be the most exciting or creative way to update a space, but new appliances will add instant appeal to your kitchen, especially if you want to spend time cooking in it. Lee says renovators on a budget can be drawn to the idea of painting or refurbishing the cabinets, when new appliances would have a bigger impact on their day-to-day experience in the kitchen.